Great location, beautiful space with a great price. 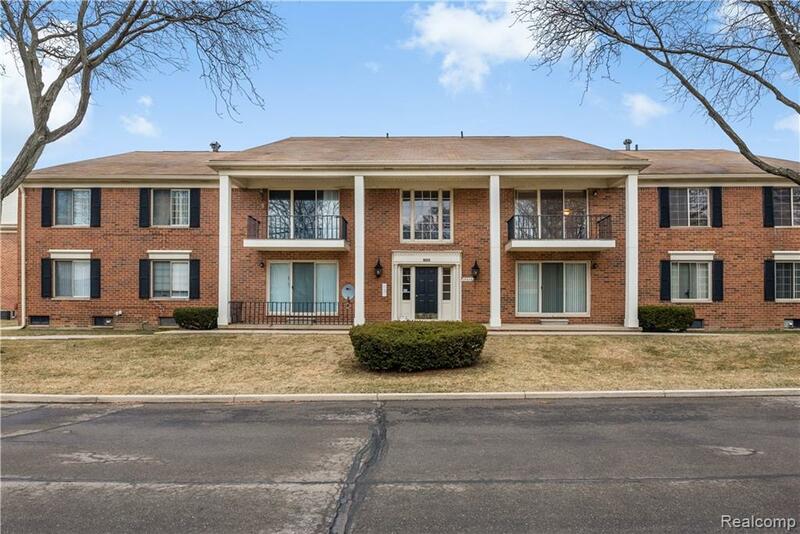 Well-maintained spacious, freshly painted upper level unit w/2 bedrooms & 2 full baths. . Enjoy the beauty of surrounding landscape from private balcony. Community pool, clubhouse & tranquil garden are accessible from rear entrance of bldg . Heat and water are included in rent. One car detached garage just a few steps from rear entrance of building Convenient guest parking. Spacious master bedroom w/lots of closet space. 2nd bedroom has built in cabinetry. Living room kitchen and dining room gives plenty of space for entertaining. Stove, refrigerator, dishwasher, and microwave included. Two year lease required. Large, private storage room in common basement. In unit washer with accessible dryer in basement. Non smoking unit/no pets. Lessee to verify all measurements. Lessee's Agent must be present at all showings.